Who says Thai brands only use traditional technologies? 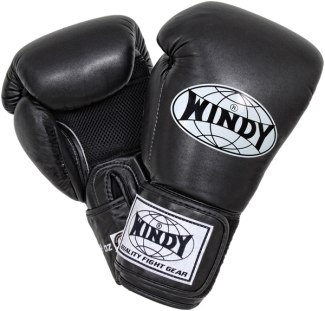 Windy has integrated their Muay Thai Gloves with the Clima Cool technology, which allows for more ventilation in the palm and hands during rigorous training. Unlike traditional Thai Gloves, the Windy Clima Cool Muay Thai Gloves offer more padding in the wrist area for more security and aids in blocking kicks. The gloves also rock 4 different layers of padding and sport double-stitching across the glove to ensure that they stand the test of time and to make sure that your hands are protected and as a fighter, these things are very important. The Windy Clima Cool Muay Thai Gloves are available at MMA Outlet.